Hazelnut Dacquoise with Crispy flakes. Topped with Chocolate cream and Milk Chocolate Chantily. 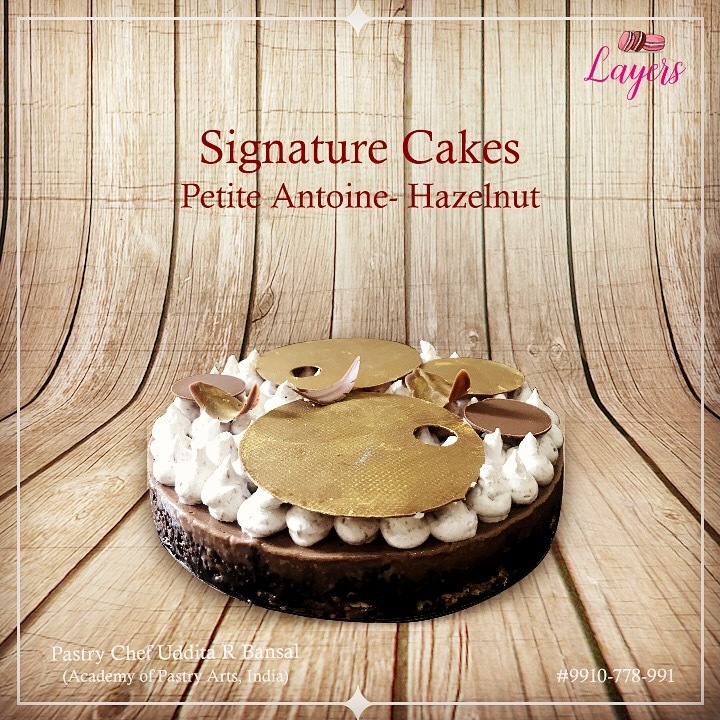 The cake base is made with Hazelnut Powder.